Is it possible to be busy and lazy at the same time? Still spending most of my time outdoors…. This was a very pleasant visit to some beautiful and restful gardens. Thank you. Ok you need to step back and take a full picture of your garden so we can see. You only let us peek in the last picture and your followers would like to see please! It looks beautiful from what I can see and looks like you’ve done a lot of work. 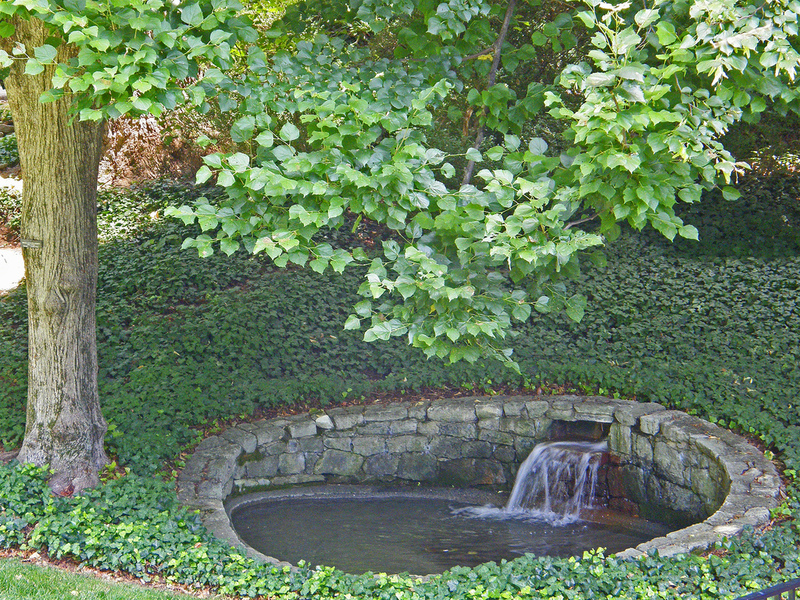 If you’re really interested in a small fountain pool I could walk you thru building one but be forewarned, they’re easy to do but TONS of labor involved. Don’t you have a young strapping son you could put to work digging?….lol. 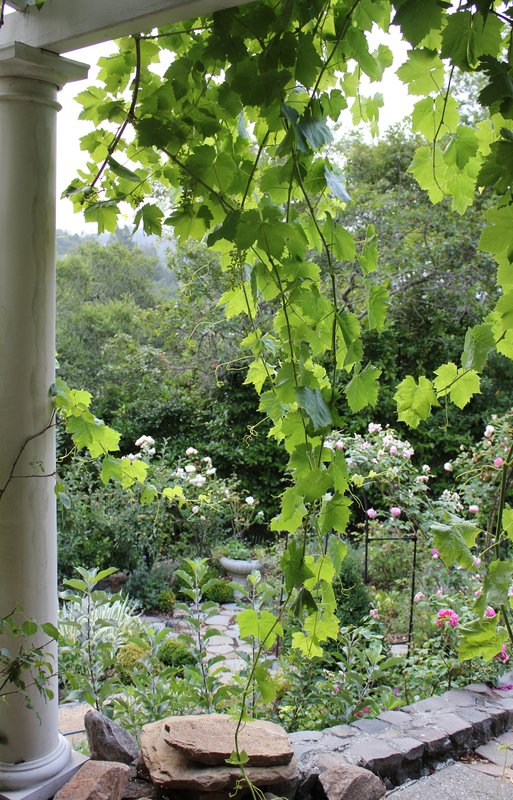 Beautiful post, love seeing your gardens, thank you! Hi AO….I’ll have to do a short film! 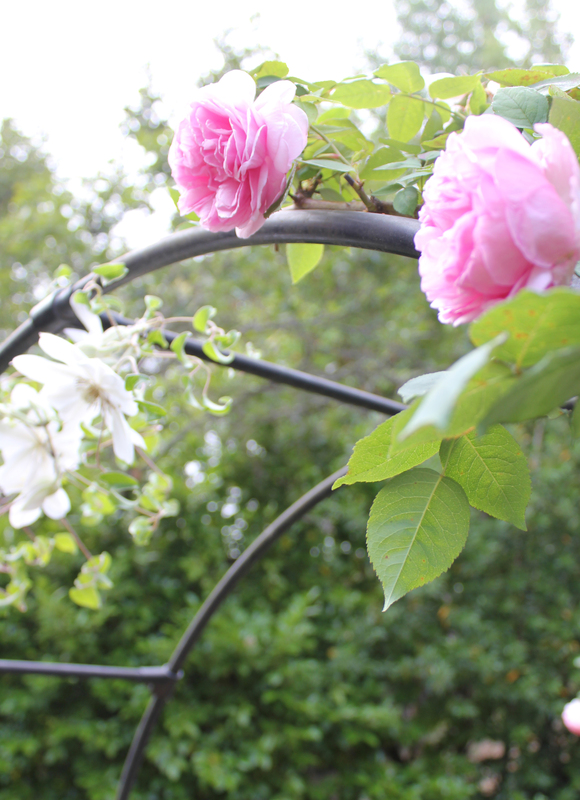 Of course my header is a pretty good view…and if you click “my garden” on the side column you’ll see alot more. I’m holding back on the lavender hillside ’till said plant decides to bloom. Soon! And the pool! I’m squirling away rock as we speak! You have me dreaming about your garden. I often look at pictures from my beloved garden books or magazines at various times before bed to fill my mind with beautiful dreamscapes. Visions from your garden photo’s linger on as an enchanting magical place of wonderment –where little fairies, elves and angels love to visit. Are you a landscape architect – if not you have more then just a gift or knack – you garden is like artist painting. Wow! You and one other blogspot are my two favs. Great posts. Beautiful! I always love your blog. Trish, I don’t know why I never can get the subscriber thing to work with your blog. You are my very favorite and I just google you almost every day to see if their is a new post. Ok, can I just say, that if I had the garden with the stone table and Tyson and Bennison chandelier, I would certainly know that I had died and gone to heaven! I hope you are having a marvelous summer. 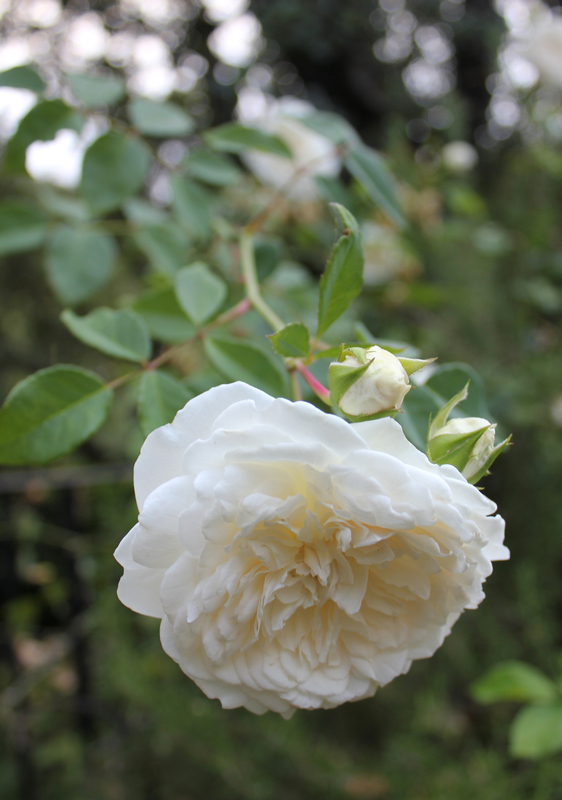 I was taking a walk with my children a few days ago, and we all noted the beautiful ‘frill’ of the many roses we saw…so nice to see you reference this in the roses in your post! I love stone…in every way, shape and form! By the way, you have a fabulous reader who found me through a comment I left on your blog: Karin. She has been so helpful to me in the hunt for a dining room table. I wish I could visit her in France! Hi Linsey. Karin is considering starting her own blog soon. I can’t wait. She is a wealth of information…and gorgeous photos of Perigord. In case you missed it…here’s her home from an earlier post here. Oh what a gorgeous garden you have. I love the look of stone – be it rough and natural or in tables or birdbaths. “Playing” with stones -always a great pleasure, although sometimes heavy! Again – beautiful images! Thank you Trish for your compliment and your encouragement to create a blog. You have inspired me! And also thanks to Linsey, it was a pleasure to be helpful. Thank you for posting this – some wonderful inspiration. How romantic. That last photo with the grapevine totally got me. I had to reread several times to realize it was your garden, and not in Italy. Of course you would find a more lady like way “culling through stone in huge wired bins” to do this job. Mine were just dumped on the driveway—14 tons at a time—and the best ones, the ones that called my name were always at the bottom. You are a decade younger than I. Already when I see what you are doing, I am saying “Good lord, how is she doing that?” Stonework like childbirth has its own built-in memory loss of the the pain involved and then only beauty remains. Love to see how you are making lemoncello out of the lemon of the big trees down lemon. Hi HBD! Revisiting the stone yard regularly, and picking off the top, is my sneaky way of accumulating the prettiest ones. Sometimes the guys aren’t busy and will help unearth a good one further down. Always forget my gloves…so much for “lady like”!!! We have gorgeous peacocks that strut about this cul-de-sac of detris (recycling, hazardous waste collection, soil amendments and stone)…a few errant chickens scattering across the road , and goats gnawing at cans on the hillside. Mountains of soil amendments 2 stories high. Quite the wonderland. You would love it! Lush and lovely as always! Love your garden and all that is in it. As usual you delight the senses and fill us with wonderment…. I can see that your garden must be very beautiful Trish! It is always so take a glimpse in your garden and home! You know so well what to choose Trish! You are so talented! Your garden is so lovely and you offer remarkable inspiration. Your posts are always a gift. You have once again captured the most inspiring… I just know you are having such a great time with all the planning and doing in the garden. Thank you again for another inspiring and lovely walk through your garden. what an inspiration for a garden lover, I even had my husband focusing on this pool. We might even finally agree on this project that has been a never ending discussion in our house for years. This one has just that right magic touch! Thanks for a truly great blog. Sorry for having been so summer blog lazy. But coming here today certainly perked me up! Trish, I have seen images from your garden before and they always make me want to come for a visit! You can sell tickets at the front gate! Oh my, girl, you are so talented and everything looks fabulous! I think Tyson B. shall come to you for ideas instead! Hope your summer is going well. You will see more of me soon.